The Dominican Republic mission directed by Dr. Kathleem Martinez working at Taposiris Magna Site, west of Alexandria unearthed a limestone stela which bears hieroglyphics and demotic inscriptions. The stela measures 105 cm high, 65 cm width and 18 cm thickness. 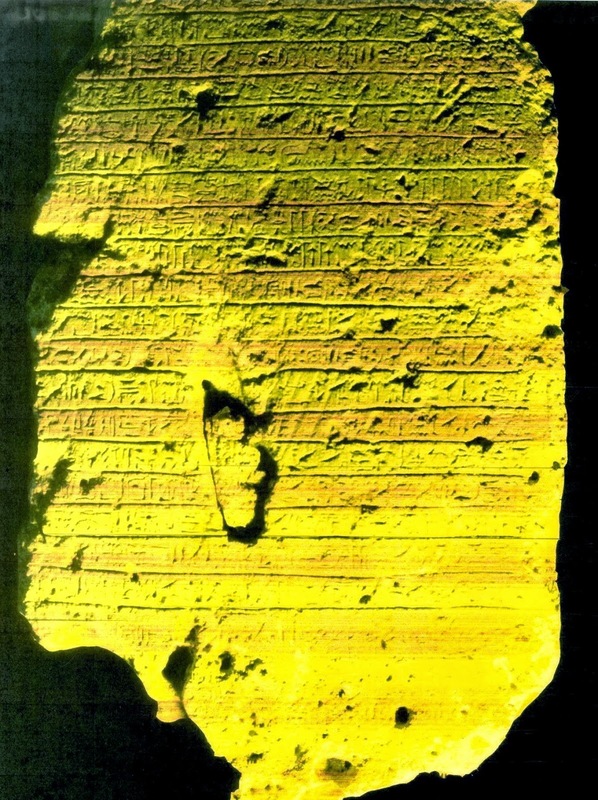 The discovered stela which was inscribed during the seventh year of king "Ptolomy V" and it contains 20 Hieroglyphic lines with royal cartouches of king "Ptolomy V", Ptolomy's wife and sister, Queen "Cleopatra I", his father King "Ptolomy IV" and his wife "Arsinoe III" too. The Demotic inscriptions at the bottom of the stela consist of 5 lines of the hieroglyphics inscriptions at the top. Dr. Kathleen Martinez, director of the Dominican Egyptian Mission, said that the mission has been working for 6 years at Taposiris Magna Site and made a lot of important discoveries concerning the history of Alexandria in general. Some of the major discoveries are tombs of Nobles and a number of statues of the goddess Isis in addition to many bronze coins of Queen "Cleopatra”. THANK YOU FOR FOLLOWING YOUR DREAM !